DGLA USA and India offer a wide range of services. 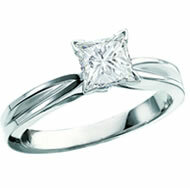 DGLA USA provides jewelry appraisals on finished jewelry items, diamonds and colored gems. We work for individuals, dealers and retailers as Independent Experts. DGLA has vast experience and a wide diversity of appraisal services. Jewelry laser inscription, finished jewelry documentation, mounted and loose diamond grading, colored gem expertise and verification appraisals are all offered at the USA firm. DGLA India sends teams of gemologists and graders directly to retail firms and to manufacturing facilities in many of India’s major cities. Five offices throughout India are in operation. We make our grading and certification to order for your firm. No other lab provides the flexibility of service and products offered by DGLA India. While the India operation is headquartered in Mumbai, we consider all of India our region of service, and request inquiries for QC-QA and Finished Jewellery Certification to be directed to our India Manager: Director : Rajendra Kalani. DGLA India also offers Consumer Assurance Verification Services to consumers who wish to purchase a diamond or a piece of Jewellery from Internet vendors. We act as objective, third party examiner of the items sent in or delivered to us. Within a few hours of receipt, we will transmit our findings to the consumer and hold the item securely for direct delivery to the consumer until it is released by the seller. This takes all the worry out of buying jewellery or a diamond from a distant or unknown vendor. This is the wave of the future for India, and already is a successful business model for DGLA USA.